Are you frustrated with the increasing amount of order form abandonment on your site? Form abandonment is one of the biggest challenges you need to tackle to boost sales and revenue. In this article, we’ll show you 6 ways to combat order form abandonment on your site. For example, if your prospects enter their name and email address on your order form, and then leave, you can send a follow up email to them encouraging them to complete the checkout process. Retargeting emails are personalized messages targeting abandoned customers that convince them to complete the order. After capturing partial entries, you can send retargeting emails to remind your customers about their abandonment. When done right, retargeting emails are proven to reduce order form abandonment significantly. Use a template: To save time, try crafting an email by using a prebuilt template and check if that helps to reduce order form abandonment. Create a sense of urgency: Creating a sense of urgency is one of the best ways to entice customers to complete the order. It can be easily done if you’re selling a physical product where shipping is required. For example, you can create a sense of urgency by telling your customers that the product is almost out of stock. But this tactic won’t apply if you’re selling digital products on your site. There are, however, plenty of words you can use to imply urgency in your retargeting email, even if you are selling a digital product. For more help with copy that will encourage conversions, whether on your WordPress forms themselves, or in retargeting emails, check out this impressive roundup of 700+ power words. 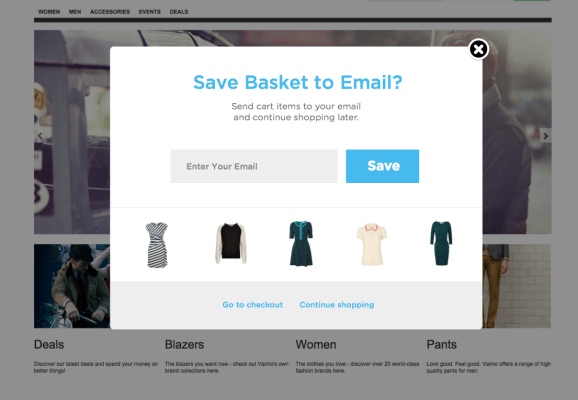 Using an exit intent popup is another great strategy to combat order form abandonment. With an exit intent popup, you can target abandoning visitors into customers by prompting them with a customized campaign at the precise moment they are about to leave your site. You can use OptinMonster to create multiple types of optin forms including the exit intent popups that are optimized for highest conversion rates. WPForms allows you to easily connect your contact forms with OptinMonster. For help doing this, read our tutorial on creating a contact form popup in WordPress. Are you blindly following conversion best practices to combat order form abandonment? Sticking to the best practices won’t always produce positive results. Since every website is unique, you need to test what resonates best with your audience. There are many WordPress plugins out there that let you easily conduct split tests on your forms. Unfortunately, most A/B testing plugins are costly. If you don’t have the budget or team resources to afford an enterprise level A/B testing solution, you might want to use Google Optimize. Google Optimize is a free A/B testing and personalization product by Google that lets you easily conduct experiments on your order forms and other elements on your site to see what works best with your audience. Best of all, Google Optimize is built on top of Google Analytics, so you can start using Optimize by capitalizing on Analytics data to conduct A/B tests. 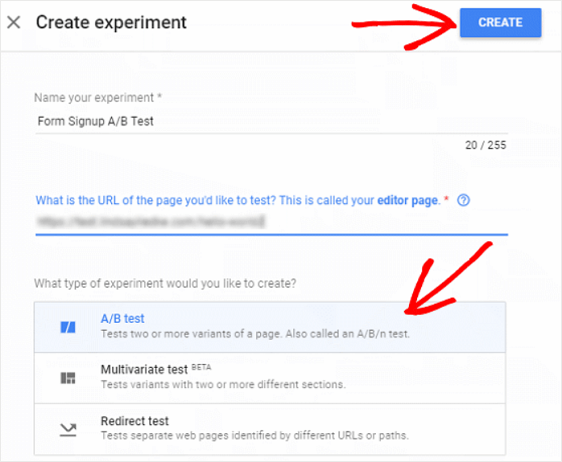 Before you can start conducting experiments with Google Optimize, you need to properly set it up on your site. Using the MonsterInsights plugin is the easiest way to set up Google Optimize on your WordPress site. With MonsterInsights, you can quickly set up Google Analytics on your site with just a few clicks. To set up Google Optimize, all you need to do is to install their Google Optimize addon. For help with this, check out this step by step tutorial on how to set up Google Optimize using MonsterInsights. 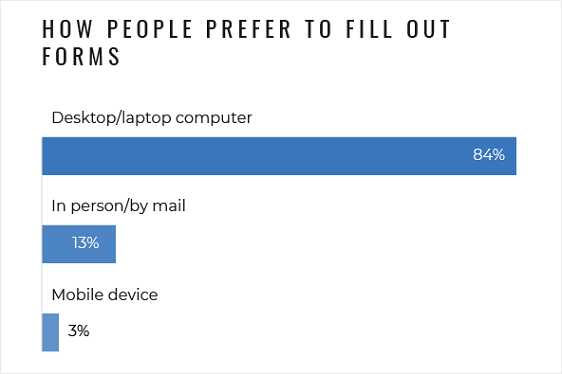 As seen in the infographic below, people prefer to fill out forms on their desktop computers more than anything else. That said, sometimes people on the go are going to want to make a purchase right then and there, using their tiny mobile device. Because of this, creating mobile responsive order forms is a must. Think about it. If someone is making a purchase on your website, using a simple order form, they are going to have to fill out several form fields, especially when compared to a simple contact form. Any friction they experience during this process is likely to cause them to abandon your form. And they may never come back. The end goal when it comes to creating an order form on your website, if you want to avoid abandonment, is to optimize the mobile experience as best you can so you don’t lose out on those sales opportunities, small as they may be. People abandon online forms in general for many reasons. 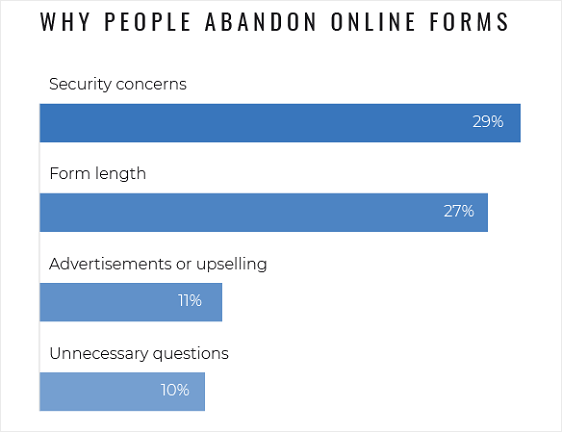 In fact, 29% of people cite security concerns as the number on reason for leaving a site before submitting a form. As you might imagine, fears that your order forms are not secure can play heavily into your form’s abandonment rate. That’s why it’s your job to make sure your customers know their personal and financial information is secure at all times during the purchase process. Add an SSL Certificate. One of the best ways to show people once they land on your website, and before they even start filling our your order form, that your site is secure is to add an SSL certificate to it. Use the Really Simple SSL WordPress plugin, and check these other free WordPress plugins that will help you run your business, to calm security fears. Focus on GDPR. The way you collect, use, and store user information is important, especially if your customers are in the EU. WPForms makes becoming GDPR compliant easier with the GDPR agreement form field and other GDPR enhancements. This way, people always know what you plan to do with any information you collect, even on an order form. And there you have it! You now know 6 effective ways to combat order form abandonment and increase sales so you can continue to grow your business. To boost form submissions, you might want to read the following articles. I do have the standard version of the pluging working on [url removed] but right now abandonment rate is high. Do you have study cases I can check before updating to pro version?